The American Health Council honors Dr. Mark Haan, MD as “Best in Medicine” working in the healthcare industry for over 17 years, Dr. Haan has been recognized for his particular achievements as a highly respected surgeon. Dr. Haan first found an interest for medicine in high school, which evolved from a love for science. The particular the task of dissecting a fetal pig has firmly remained in his memories and in part, led to him finding his passion and subsequently becoming a surgeon. His next steps after high school saw Dr.Haan focus his studies on medicine and surgery and he achieved his MD from the Wayne State University in Detroit, Michigan in 1995. Following on from this, he furthered his studies and successfully graduated with a BSN from the Calvin College. His next stop was William Beaumont Hospital, Royal Oak, MI, where he completed his residency. It is a placement which he remembers fondly. 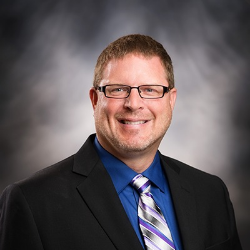 Dr. Haan has amassed over 17 years of service to the healthcare sector, but has spent the last 3 years in his current role as a surgeon at Spectrum Health Medical Group. Spectrum Health is an integrated health system, comprising 15 hospitals, 180 ambulatory sites, 76,000 acute care admissions, and 40,000 employees located throughout Michigan. Their mission is to improve the health of the communities they serve and their goal is to connect patients with a Spectrum Health provider whenever and wherever they need care. Spectrum Health prides itself on offering services in adult health, bariatric surgery, cancer, cardiovascular care, gastroenterology, hospice, neurosciences, orthopaedics, primary care, pulmonology, rehabilitation, transplant, women’s health, paediatrics, emergency and trauma, ENT, and neonatal care. To broaden his knowledge in an ever developing industry, Dr. Haan remains a member of a number of professional associations including Alpha Omega Alpha Honour Society, Michigan Medical Society, American Medical Association, American College of Surgeons and the American Health Council. In the future, Dr. Haan aspires to be involved in hospital administration for the expanding quality of care and services provided within the local community. With an emphasis on quality patient contact, a love of problem solving and the chance to provide positive and excellent outcomes for his patients Dr. Haan attributes much of his success to his parents, particularly for the values and work ethic they instilled in him. Outside of work, Dr Haan has always been extremely active and proudly holds the personal accomplishment of competing in the All-State 400 metre dash in 1987, followed by the All American NCAA Division III 1600 meter relay a few years later in 1989. This love of physical activity has continued throughout his life and currently, Dr. Haan is President of local high school athletic booster club. With a further passion for the great outdoors, in particular camping and hiking, as well as a natural flair for woodwork, Dr. Haan is constantly challenging himself with exciting new projects and adventures. Spectrum Health is an integrated health system, with an award-winning health plan, teams of nationally recognized doctors and providers and a network of hospitals and care facilities spanning 13 counties through West Michigan. They are one of the nation’s Top 15 health systems. By working together, they create better value and experiences for consumers. The result is a seamless, highly collaborative system of care that offers the best possible outcomes.